I'm not a diplomatic teacher, and that sometimes turns people off...I can make no apologies. I am not diplomatic here. There has been too much belittling of Tai Chi and I explain that below. I teach students to also check their reasoning in Tai Chi. My teacher does not pussyfoot with me either, he calls me on it when my reasoning is wobbly or way off. In my experience, those things like stress relief are "perks" however that come with much, much time, not a fad of the month club. The reason for Tai Chi's existence is to enable one to attain longevity while living like a young person ( while living in the springtime of one's life). This does not come overnight. Many people don't think Tai Chi is a martial art. 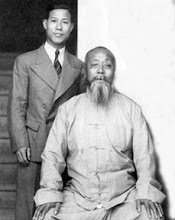 Yang Wabu (my teacher's teacher) was a top notch martial artist when he met his teacher Wu Chien Chuan. Yang was already a Master of Pekkwar Monkey Boxing and versed in numerous other external style martial arts . He was well known in Hong Kong. Yang told my teacher that he could not mount an attack against Wu because Wu would just keep him off balance. That is Tai Chi as a martial art. I talk to many people who not only don't think Tai Chi is a martial art, they run the other way when you tell them it is. In light of things like Tai Chi for seniors, Tai Chi for spiritual growth, Tai Chi for stress relief, Tai Chi for idiots (name of book on Amazon) Tai Chi for arthritis, Tai Chi for Fibromyalgia, Tai Chi for kids, etc. is there any wonder why people think that way? I am a martial artist but above all I'm here to right the Tai Chi ship not cater to Heinz 57 varieties of Tai Chi. Tai Chi has to achieve 2 purposes, be there for martial ability and be there for health. It comes from martial artists, for instance Wu Chien Yau and his son Wu Chien Chuan were body guards in the Imperial Palace and officers in the Manchurian Banner Guard. They learned from Yang Family (martial instructors of emperor's family), Yangs learned from Chens . 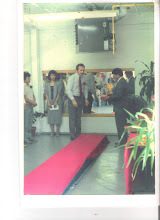 Wu Chien Chuan (bodyguard/soldier) was teacher of Young Wabu who was teacher of Stephen Hwa who is my teacher. "Like anything else to be proficient in tai chi the practitioner must put the time in. As a practitioner of over 40 years, I've learned and I am still learning. With that said if you are interested in learning tai chi as a self defense you must practice push hands with many opponents and then practice sparring with many oponents. You can not get the feel and practical ability without having the experience of sparring. " It is true that one must "practice push hands and sparring with many opponents" as an integral part of martial training in Tai Chi. In the case of Classical Tai Chi however, push hands and sparring are taught after one can show at least some rudimentary internal discipline. Practicing even push hands before that physical internal development is putting the cart before the horse. All it does, is to confuse the student and merely gives one the illusion of progress. Notice, I say "physical" internal development, because merely having the right mental attitude aka an "internal demeanor" does not confer physical internal discipline. We have spoken extensively of Internal Energy, and to reiterate, it occurs inside the body with the physical turning of the body at the core, using a compact frame not the hips, kua, etc. of a large frame. Now we have to go a bit off the beaten path from our discussion of internal energy to deal with self-defense. The reason is that in self-defense...anything goes and we are not limited to using internal energy/internal discipline. I do agree with your assertion however about push hands/sparring being an integral part of self defense training, but with the stringent caveat that it also has severe limitations which are overlooked. My own 40 years of experience and research tell me that sparring, push hands, weapons, etc. are good martial training but unfortunately most often give people the "Illusion" that they have self defense ability. In all self defense situations however, I learned the hard way that "anything goes" which Tai Chi in a controlled push hands and sparring does not teach. I also have rather unfortunate experience with personal self defense in light of violent physical attacks. As it has been said, one can be attacked by people and wild animals but what holds one in stead is an accurate appraisal of one's integrity. In other words, not only an honest assessment of one's own abilities and/or limitations martially, but ask yourself do you honestly want to hurt someone or do you simply want to just defend yourself. I've met many people over the years both teachers and others who seem to take enjoyment from the hurt that others have to endure at their hands. To close, I think that in being honest with myself and my own abilities that the experience of sparring and push hands is wishful thinking when it comes to being mugged by a large group of people. Sparring and push hands is wishful thinking when it comes to someone trying to run you down with their automobile. Sparring and push hands is wishful thinking when it comes to someone confronting you with a firearm from 5 feet away. I think you see my point and I'm sure you would agree that sparring and push hands have their uses but we should also be aware of their limitations. Hence, my feelings that martial training may often give people the illusion of self-defense in one time situations but internal energy is for life. "The original practice frame of Yang Luchan and his sons was the compact frame set.It is also the case there is really only one frame of taijiquan.The whole set of the original compact frame set was comprised of sixty-four movements. That training focuses not on the physical appearance but rather on the mind (Yi).The stance is higher than the other frames and the stepping is also smaller for the compact frame practice.The bigness or smallness, greater or lesser circling in the small frame set is led by qi. The circles may sometimes be seen but at other times are not seen.It is as if the circles sometimes exist and sometimes are non-existent.This is due entirely to the movement inside one’s body." Stating: "The circles may sometimes be seen but at other times are not seen.It is as if the circles sometimes exist and sometimes are non-existent.This is due entirely to the movement inside one’s body." is the supreme ultimate description of the Neigong or Internal Discipline. Internal Discipline takes place "inside one's body". Tian Ying Jia goes on to say that large frame Tai Chi was really developed to ease the transition to compact frame practice: "The original large frame of the Yang family was finalized by Yang Lu Chan's third son, Jian Hou. It was created originally to facilitate learners in acquiring compact frame". The following good questions were originally submitted to the series "The most popular Tai Chi is bad". I think the questions show that some students are taking things to heart and thinking critically about what they read. The questions also go to the heart of what has been written rather than personal proclivities, eg., "my style", "their style", etc. I answer it here because it really goes to the heart of how internal energy evolved. I have included several quotes from Hwa Laoshi to reference what I say as well. We do not want to ever think that a most popular style with outurned back foot or even the style we practice with parallel feet is the only style or foot positions that a teacher knows or knew (in the case of Lu Chan or anyone else for that matter). Someone made that mistake about Wu Chien Chuan at the Toronto Wu Family conference in the 90's. Master Hwa addresses that foible and uses one of my favorite quotes of how "frogs at the bottom of wells should not be croaking to the world how big the sky is". In regard to "...create a style...only changed who...size of circle...": I can only defer to what my teacher tells me personally rather than a generic accounting of a family history. I think generic family histories are just that, and really shed little historical analysis or in some cases may muddy the water even more. In light of how easy it is to paint ourselves into a corner with our assumptions about what styles a teacher knows, we should also not think that "...it cannot be changed..." strictly applies to size of circle or who will be taught. I think that statement about "change" cannot be fully appreciated unless one understands also puts in the time to understand the true depths of study that they have to plumb themselves. For one, most people want to learn fast. The truth is to learn the form itself takes several years to be proficient. Second, most people want the illusion of self-defense, they also want to learn fast. To test how effective one's martial applications are also takes an additional several years. Third, most people believe what the Sunday newspaper tells them about health benefits. To confirm those allegations about improved health takes a human generation. Lu Chan had 3 sons, Jian Hou, Ban Hou and Feng Hou. Re: Page 2 of the above article states that Wu Chien Yau "created a style which he called Wu Family Tai Chi Chuan". As stated earlier in the paragraph the only things he changed were whom he would teach and the size of the circle...no mention of feet..."
"it is clear that the Wu’s learned Tai Chi from the Yangs’ without any other influence. It also gives you an account about the Yang family and how much they treasured their Tai Chi heritage particularly the small circle or the compact form." Master Hwa has previously stated: (Someone at a Wu's family conference Toronto 1990's) "...who was taught “large frame” by Wu Chien Chuan when he was teenager, thought that was all Wu knew! If he thought that when he was teenager, its excusable. But now at his old age, with all the published discussion about Wu’s prowess at Compact Form, he still thinks that way. He is truly clueless. Unfortunately, it is this kind of person, who saw a master play one style immediately assume that was that master’s style, or that family’s style, who has muddied the water about the history of tai chi. Prime examples are: "Yang Ban-Hou had other teachers beside his father Yang Lu-Chan and therefore his style is different from his father." “Large frame” or “large circle” is the hallmark of Yang style, ignoring the fact that several Yangs are known for their zeal for compact form such as Yang Shao-hou, brother of Yang Cheng-Fu. This reminds me of a Chinese saying “sitting in the bottom of a well trying to figure out how big is the sky”. "Translated from a Chinese book about the History of the Yang Family: “Yang Cheng-Fu was not interested in Tai Chi until his father passed away. He then practiced day and night to improve his Tai Chi. Much of it were self-taught based on what he remembered in his younger years. He was a patient teacher and had many students. His style was the large circle which people refer to now as Yang Style." "... what they did for the camera was not representative of theirstyle. During that era, printed picture in the book have very poor quality (I have several of such books), difficult to see any details. If a pose was in the compact form, it probably showed very little what was going on. Master Wu’s pictures are all in very large frame style. An interesting story as told by one of Wu Chien Chuan’s student was that he asked Wu why one of his tai chi photo had wrong posture. Wu said that the photographer told him to do this way. The story just show that these masters really did not give a hoot about their photographs. "Master Hwa has previously said : "...My teacher Young Wabu describing how Master Wu, during sparring, could stick to the opponent keeping opponent constantly out of balance. This is the epitome of tai chi martial art. It is formless; an abstract of all the training he had gone through---leg power from “large cicle”, internal power from “small circle”, movements from form practice, sense and touch developed during push hand and sparring exercise, etc." in my opinion, as time goes by, many of us have seemed to lose the true understanding of "internal" martial art. What could be worse is that branding of some soft / internal martial arts as ways that could lead to better health - but such training methods may not necessarily be in accordance with traditional chinese medicine theory. As an ex-practitioner of a variant style of a mainstream Japanese "internal" art (taught officially to the tokyo riot police), i know full well the frustrations of trying to know what internal really means. Perhaps I was a slow learner, but after 10 years hitting the mat getting thrown like a rag-doll, there's that sinking feeling that i still know nothing at all despite striving hard to achieve good technique. Alas, "li bu di fa, fa bu di gong" (strength does not overcome technique, technique does not overcome power). correct me if i am wrong, but i do think the "power" in martial art context should mean internal energy. And i do believe that classical taichi can serve as one of the methods to attain the elusive internal energy all martial artists strive for (unless these people are satisfied up to achieving perfect technique). Note: I've given up the art i studied for 10 years upon advice of a TCM doctor that i've messed up all my meridians at the back body from all those breakfalls over the years. And who would i rather believe when it comes to life and death or internal and external health? A TCM doctor who has 30 years experience or a martial art teacher who brands the art as internal art that could supposedly improve "real" health"? As I said in the first installment, the martial artists who devised the methodology for gaining internal energy did not have the wherewithal to objectively test and measure it. We have already established that we must defer to science when talking about internal energy, other than that it is ethereal or wishful thinking. If I do not practice however, I will not feel the energy and the same goes for you. As I said, even if I told they need to study it, they would undoubtedly defer to the lowest common denominator: "Why can't I just take a pill for my health or carry that nickel plated 9 mm pistol for self defense"? I was a medical technologist by profession before I went to work for Customs and Border Protection. Even with that science background, I've got a whole lot of ground to cover in understanding Internal Energy. So I can only offer my take on the individual facets, I have not finished traveling on the road myself. It is therefore quite reasonable to think that Young Laoshi would have told his student of 30+ years (Hwa Laoshi) to concern himself as well if Meridians and TCM played such a major role rather than just Tai Chi principles in the learning of internal discipline. I have no evidence that he did so. In our discourse on the evolution of internal energy however: Consider the fact in the video Tao of Martial Applications Master Hwa could probably not wrap his arms around me and lift me off the ground. However, the video evidence shows that he can knock me off balance with no visible use of force. In other words, he did not line up like a football player and use brute strength to move me. I think I can say with some assurance that his ability to use a type of force to lift me has likely diminished as he has grown older but his internal energy has either stayed the same or improved with age. If he were to lift me he would have to use a relatively linear or straight line of force, lift from point A to point B, from ground to up in the air. When he uses "fajing" in punching a student through a pad he is using a curved, or circular, or even wave of energy if you will. I mentioned to him that he was not lined up like the martial arts portrayed on the covers of magazines, his feet are not even separated. He responded, "I did not even think about it". I thought he meant, he was not aware of how he was standing. After thinking about this for awhile, I realized he was very aware. I had an inkling however that there was a way that he could do the punch from such small stature and that was if the punch moved in a curve, with the energy rising. That is, the energy curving up, even though his fist seems to travel in a straight line to an observer. I know a good way to find these things out is not to act completely ignorant but to offer some solution myself, it shows that one is at least trying to find the answer themselves. Later on, he confirmed this fact to me in private conversation. The nature of that "peng" or punch there was of a rising nature. We hear of the formula F=M x A, in the use of force. Well, it seems if Master Hwa were using anything other than Internal Energy, he would have had to draw back his fist to gain "A" (acceleration) would he not? The other thing to consider if he did draw back and then punch, what if I moved? In that case he would miss and then be subject to the pitfalls of momentum force...how could he change in light of that? Where did this internal energy and training of internal discipline arise in the annals of Tai Chi? How did those early Yang masters devise it from the art they learned from the Chens? As we said, we know that Yang Lu Chan's Compact Form resembles Wu Chien Chuan's Compact Form rather than anything from the Chens. I think further attempts to glimpse into History can give some more insight in subsequent parts to this discussion. 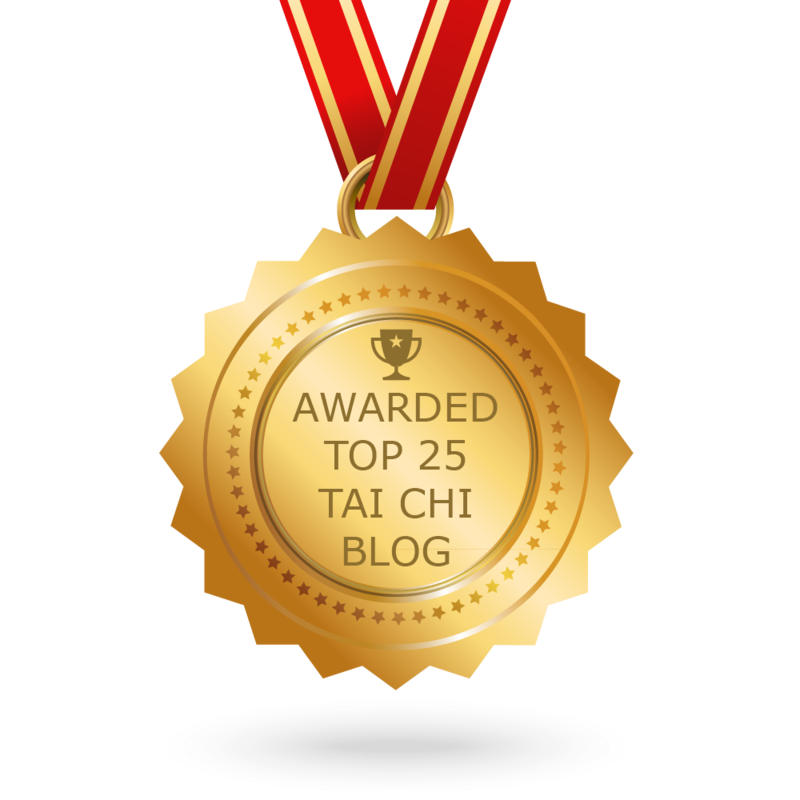 This is part 1 in a multi-part essay on the evolution of internal energy in Tai Chi. Readers and students of Classical Tai Chi will have to return frequently in order to read subsequent parts, there will be no further solicitation. One only has to imagine that the literacy level could not have been very high among martial artists in 17th, 18th and 19th century China. Certainly the fact that they did not make much in the way of written record for their arts is pretty clear is it not? With that in mind it is easy to see that they likely did not run coherent scientific experimentation on both the practical and theoretical aspects of internal energy. Master Stephen Hwa in his profession was a top notch scientist and has stated that he was attracted to the Tai Chi of his teacher Young Wabu because of the scientific way that Young taught it. As a link to the 19th century, Young was a priceless asset in the annals of Tai Chi. I only wish I could have studied with him myself back in the 1970's when I first started, I certainly did not have access to much in the way of scientific Tai Chi in those days. Student's have said to me, they are so happy they are finally doing "internal" Tai Chi. To that, I would add, that you are finally understanding Tai Chi on a scientific level. Without meeting Master Hwa, I'm quite sure I could only practice and practice the Wu's Style Large Frame for decades and still not understand much. I get occasional email from people wishing to study Tai Chi who do not understand Internal Energy. They are attracted to Tai Chi because of something they read or heard about it and have no concerns over whether it involves science or not. I suspect they see it with a consumer mentality or something they can just go out and get...it will work for them "right out of the box" so to speak. So if they don't even know internal energy exists, one can hardly expect to study it scientifically. If they are ill, they think that they can take a pill so of course Tai Chi falls into the "take a pill" category. However, there is no such thing as an internal energy "Pill". When the non- "internal" martial artist opens a door, moves their garbage can, lifts their child, etc. they have even little idea of or even care for the scientific basis of how they are doing it. It matters little to them that they have to contract and expand certain muscle groups in their extremeties as in "ex" ternal It certainly does not occur to them to take account of the amount of "ex" ternal force they are using. Thoughts of internal would never enter the picture, why would it. We know from Physics in this day and age that what those muscle contractions result in is called by the scientific name "Force". The amount of force a mother uses to lift her child can be measured in categories such as pounds, etc. What she does not know as well however, is why she feels exhausted after lifting the child dozens of times during the day. It is because all of those muscle groups are connected at the wrists, elbows, shoulders, knees, etc. In other words at the various joints which work essentially as hinges in their capacity as connectors. We know as well that any force she exerts, let's say in pounds never reaches their end result (the child) without being somewhat diminished through each of the joints it must go through. In other words, the force can hardly be said to run straight and true can it? However, I know on a visceral level what Wu Chien Chuan passed on to Young Wabu to Stephen Hwa to James Roach can teach people how to link all of those joints into a coherent whole...connect them up as it were. What results from that linkage or connection can then be called energy...internal energy as a matter of fact. Internal because we no longer have to be limited by contraction/expansion of individual muscles, strength or flexibility of various joints, all the various nooks and crannies that can diminish energy, etc. The Mom can "mobilize" this energy to send it to a particular point...the Child.